A houseplant is a plant that is grown indoors in places such as residences and offices. Houseplants are commonly grown for decorative purposes, positive psychological effects, or health reasons such as indoor air purification. Plants used in this fashion are most commonly, though not always, tropical or semi-tropical. Major factors that should be considered when caring for houseplants are moisture, light, soil mixture, temperature, humidity, fertilizers, potting, and pest control. The following includes some general guidelines for houseplant care. For specific houseplant needs, the tags that sometimes come with plants are notoriously unhelpful and generic. Specific care information may be found widely online and in books. Both under-watering and over-watering can be detrimental to a houseplant. The best way to determine whether a plant needs water is to check the soil moisture. Feeling the soil is most reliable, since moisture meters are often inaccurate. 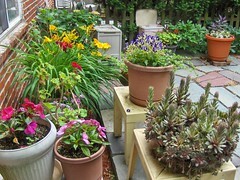 Most potted plants must be allowed to reach an appropriate level of dryness in between waterings, though the amount of watering required varies greatly depending on the species. Proper soil moisture can range from still slightly moist on the soil surface to very dry to nearly the bottom of the pot. Watering a plant by the calendar is not recommended. If a plant does need to be watered, water should be slowly poured over the surface of the soil until it begins to drain out the bottom of the pot, ensuring complete saturation. However, sometimes the soil separates from the sides of the pot if it is allowed to dry out thoroughly, allowing the water to flow down the sides of the rootball and out the bottom too quickly to be absorbed and retained by the soil and roots. If this is the case, it may be necessary to set the plant in a shallow dish of water long enough for it to soak up enough water to moisten the rootball to its center. Repotting should eliminate this problem. 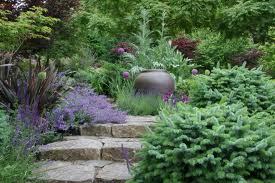 Repotting should be done only when necessary, since the roots of a plant that is in an excessively large pot may rot. Through the process of photosynthesis, plants convert the energy in sunlight to chemical energy, which fuels plant growth. 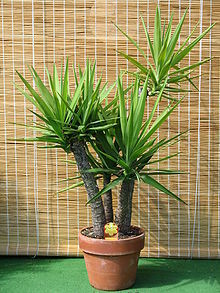 The two important factors for providing light to a house plant are intensity and duration. Different plants require different light intensities. Intensity (or quality) of light is difficult to measure without a light meter. It is usually measured in units of lux. 100 lux or less is usually considered “low intensity” or “indirect” lighting. A bright office has about 400 lux of illumination. 1,000 lux or more is usually considered “high intensity” lighting. 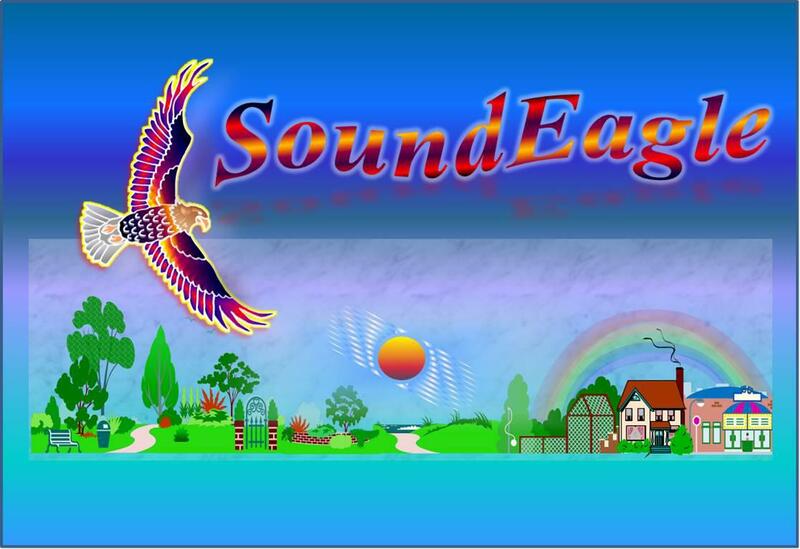 Direct outdoor sunlight is in the range 32,000-100,000 lux. Foot-candles are also occasionally used. The duration of light exposure is as important as the intensity. Quality exposure of 8 to 16 hours is ideal for most plants. Photoperiodism must also be considered, since some plants such as Poinsettia and Schlumbergera are influenced by either decreasing or increasing daylight hours. Some potted plants can grow to very large sizes, such as this tree found in Auckland Airport. 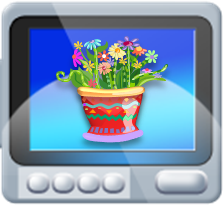 Windows are the most common sources of light for houseplants. In the Northern Hemisphere, south-facing windows have the most sun exposure, while western, eastern, and north-facing windows have progressively less exposure. Natural sunlight through windows is affected by seasonal changes, cloud cover, and window treatments. The length of time that light is provided will determine how the plant grows. Providing 16 hours of light/day will promote strong roots, stems and abundant leaves. Decreasing that amount to 12 hours of light/day will signal that the short days of Winter are coming so the plant energy will focus more on flower production and less on green growth. Artificial light sources can provide an alternative or supplement to window lighting. Fluorescent lighting provides excellent light quality whereas standard incandescent bulbs do little to promote plant growth. “Cool”, or “blue”, fluorescent lights at 6500k provide the light needed for lush green foliage plants, while “warm”, or “red”, fluorescent lights at 3000k provide the light needed for blooming flowers and fruit production. Warm whites are better for flowering plants while cool whites are more suitable for green, leafy growth. When used together, these bulbs are closer to the full spectrum light that comes from the sun, although less powerful. There are several types of lighting units which can sustain indoor plants, Fluorescent, Halide or Diode. Choosing the best type depends on the need of the plants grown and/or your budget. For the sake of efficiency, incandescents, no matter how cheap, should not be used. Not only do they provide little or no benefit to plants, but the cost of the electricity will outweigh the cost of purchasing multiple incandescent bulbs and fixtures in the long run. Fluorescents are mass marketed. CFL fluorescents are the cheapest option, but more than a couple bulbs are almost always required to be running at once. The next step up is shop lights, available mostly in 2-ft (609 mm) or 4-ft (1219 mm) fluorescent tubes. The best type of fluorescent are called High Output Fluorescents. Also available in 2-ft (609 mm) and 4-ft(1219 mm) tubes, these bulbs provide more wattage (54 watts each is standard) thus more lumens per watt (92 at the current time). That is about 5,000 lumens per dual 4-ft (1219 mm) H.O. Fluorescent Unit. The most serious lights that are used by professionals and in greenhouses as a supplement, are known as Metal Halide or High Pressure Sodium Grow Lights. These lights provide the most lumens, heat and intensity of light so they should be positioned respectively further from the tops of plants to prevent burning. LED or Light Emitting Diode grow lights which produce the photosynthetic optimum red (640-670 nm) and blue (430-460 nm), they have long life expectancies, and efficiency, 100 watts producing 3,400 lumens output from a unit 400x212x62mm, they are also rather cool, so you can have them quite close to the plants. Houseplants are generally grown in specialized soils called potting compost or potting soil, not in local natural soil. A good potting compost mixture includes soil conditioners to provide the plant with nutrients, support, adequate drainage, and proper aeration. Most potting composts contain a combination of peat and vermiculite or perlite. Concern over environmental damage to peat bogs, however, is leading to the replacement of peat by coir (coconut fibre), which is a sustainable resource. A nutrient rich compost can usually be bought wherever potted plants are sold. If local natural soil is to be used, it should first be heat sterilized by placing the soil in an oven at 90 °C (200 °F) for at least 30 minutes. This will ensure that the soil does not contain any harmful bacteria. Most locals soils, especially those with a high proportion of clay, do not drain well enough to be a suitable growing medium for houseplants. Coir or peat is used to increase aeration and make heavy soils more absorbent. Vermiculite and perlite aid in drainage in a soil mixture. Perlite is recommended over vermiculite because it does not break down as easily. A coarse grade sand or grit can be used as a substitute for a drainage mechanism if needed. These three ingredients can be mixed in varying ratios to create different potting soil types. For a plant that requires fast drainage, such as a cactus, use plenty of coarse sand, grit or perlite. For a plant that requires plenty of moisture, use more coir. A good all purpose soil mixture is 2 parts coir and 1 part perlite or vermiculite. A so-called “heavy soil mix” will contain sterilised soil, milled sphagnum moss or coir, and perlite in equal proportions. It is also possible to make a soil mixture that actually contains no soil by mixing equal parts peat moss and perlite (or vermiculite). The soiless mixture will retain more moisture. Most houseplants are tropical species selected for their adaptation to growth in a climate which ranges from 15 °C to 25 °C (60 °F to 80 °F), similar to the temperature in most homes. Temperature control for other plants with differing requirements needs attention to heating and/or cooling. Humidity is slightly more difficult to control than temperature. The more commonly used houseplants have established that they can survive in low humidity environments as long as their roots are kept properly irrigated. Most plants thrive in 80% relative humidity while most homes are usually kept around 20% to 60% relative humidity. Besides buying a humidifier, there are a few things that can be done to increase humidity around houseplants. The most popular methods used to raise the ambient humidity are misting and pebble trays, which are shallow trays covered with pebbles and filled with water that evaporates to increase humidity. Other methods of raising humidity include grouping plants closely together and not placing plants in drafty areas. Misting is somewhat controversial among gardeners, with some that swear by it and others that say it does little to increase humidity around plants. In a potted environment, soil nutrients can eventually deplete. Adding fertilizer can artificially provide these nutrients. However, adding unnecessary fertilizer can be harmful to the plant. Because of this, careful consideration must be taken before fertilizing. If a plant has been in the same potting mix for a year or more and is no longer thriving, then it may be a candidate for nutrient replacement done by using a complete fertilizer at half the recommended label dilution rate. Fertilizers are usually marked with a number such as 20–20–20. These numbers indicate the percentages of nitrogen, phosphorus, and potassium respectively, the three elements that are needed in the most quantity for plant growth. Nitrogen is essential for green, leafy growth. Phosphorus is essential for flowering or fruiting plants. Potassium is essential for strong roots and increased nutrient uptake. Numbers higher than 15 are usually man-made, chemical fertilizers. Organic fertilizers have a much lower ratio. 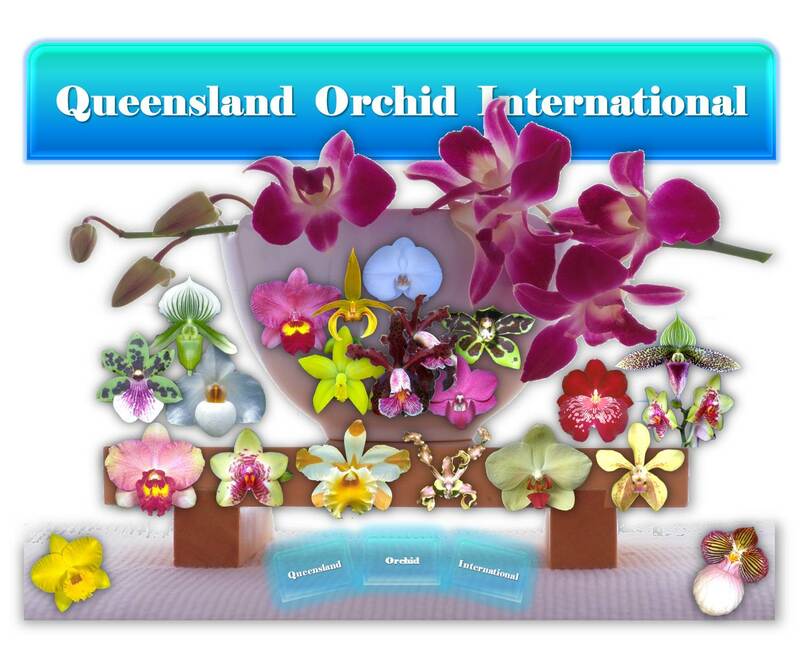 A 4–2–2 ratio of these elements is usually good for green foliage plants, while a 2–6–4 ratio is usually better for flowering plants. A complete fertilizer will also include the minor and trace elements, such as calcium, magnesium and iron. While variation may occur between brands, a general rule is to mix 1 tablespoon to every gallon of water. In all cases, it is better to under-fertilize than over-fertilize. The diluted mixture is then used to water the plants. The growth of the plants should be monitored to determine if the fertilizer is helping or harming, and how often (if at all) it should be used. Schedules can range from every other week to every three months. For convenience, granular, time-released fertilizers are also available. 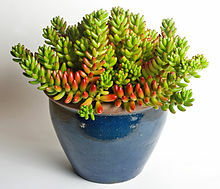 Crassula ovata in a clay container (Italian terra cotta). Proper pot size is an important factor to consider. A pot that is too large will cause root disease because of the excess moisture retained in the soil, while a pot that is too small will restrict a plant’s growth. Generally, a plant can stay in the same pot for two or so years. Pots come in a variety of types as well, but usually can be broken down into two groups: porous and non-porous. Porous pots are usually clay and are highly recommended because they provide better aeration as air passes laterally through the sides of the pot. Non-porous pots such as glazed or plastic pots tend to hold moisture longer and restrict airflow. Another needed feature is drainage holes. Usually pots come with holes in the bottom to allow excess water to flow out of the soil which helps to prevent root rot. If a pot does not have drainage holes, it is best to double pot that plant so the inner pot can be lifted out and the excess water accumulated in the bottom of the outer pot can be removed. Soak old pots thoroughly in a solution of 1 part bleach to 10 parts water to kill any bacteria that may remain. Indoor plants reduce components of indoor air pollution, particularly volatile organic compounds (VOC) such as benzene, toluene, and xylene. The compounds are removed primarily by soil microorganisms. Plants can also remove CO2, which is correlated with lower work performance, from indoor areas. The effect has been investigated by NASA for use in spacecrafts. Plants also appear to reduce airborne microbes and increase humidity. Aside from traditional soil mixtures, media such as expanded clay may be employed in hydroculture, in which the plant is grown in a water and nutrient solution. This technique has a number of benefits, including an odorless, reusable, and more hygienic media. Any habitat for soil-bound pests is also eliminated, and the plant’s water supply is less variable. 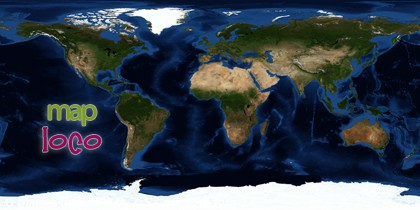 However, some plants do not grow well with this technique, and media is often difficult to find in some parts of the world, such as North America, where hydroponics and specifically hydroculture is not as well-known or widespread. Sub-irrigation offers another alternative to top-watering techniques. In this approach the plant is watered from the bottom of the pot. Water is transferred up into the potting media (be it soil or others) by capillary action. Advantages of this technique include controlled amounts of water, resulting in lower chances of overwatering if done correctly, no need to drain plants after watering unlike traditional top-water methods, and less compaction of the media due to the pressure put on the media from top-watering. Note: Many of these plants are also tropical or subtropical. Note: Many forced bulbs are also temperate. ^ Tarran et al. (2007). USE OF LIVING POT-PLANTS TO CLEANSE INDOOR AIR–RESEARCH REVIEW. ^ Wolverton BC. (1988). Foliage plants for improving indoor air quality. NASA. ^ BC Wolverton, JD Wolverton. (1996). Interior plants: their influence on airborne microbes inside energy-efficient buildings. Journal of the Mississippi Academy of Sciences. You are welcome! I hope that you continue to find and learn something useful from the Potted Plant Society website. Happy Easter! Thanks for all your valuable work on this site. Ellie take interest in participating in investigations and it’s obvious why. Many of us hear all relating to the compelling method you create both interesting and useful techniques on the website and even cause participation from other people on the area of interest while our own princess is actually starting to learn a lot of things. Have fun with the rest of the year. You’re the one conducting a brilliant job. I am delighted by your encouragement. Thank you for your kind words. 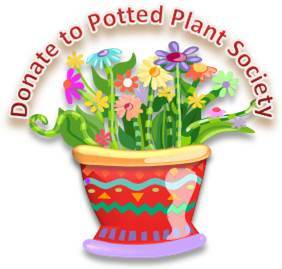 There have been a lot more information and newly designed webpages being added to the Potted Plant Society website. Please enjoy and happy Easter to you and Ellie! 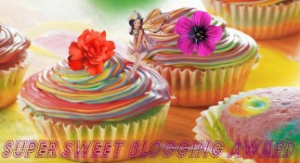 nnew the web visitors, ωho are wishing fοr blogging.